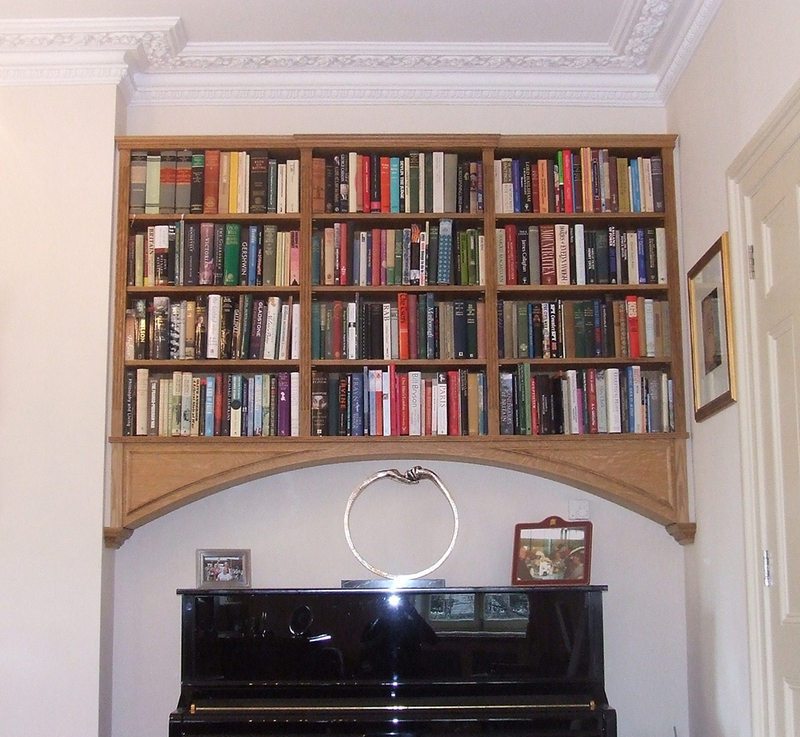 This bookcase is fitted into an alcove, with the weight of the piece springing off the two walls, a well as bolts fitted into the walls. The arch-shape has two hidden compartments inside. This piece is made from solid oak, and is installed in an apartment in Northumberland Avenue.